This bumper edition, comprising three lively children's nature guides, brings together a treasure trove of information, colourful images, games and activities for young readers. 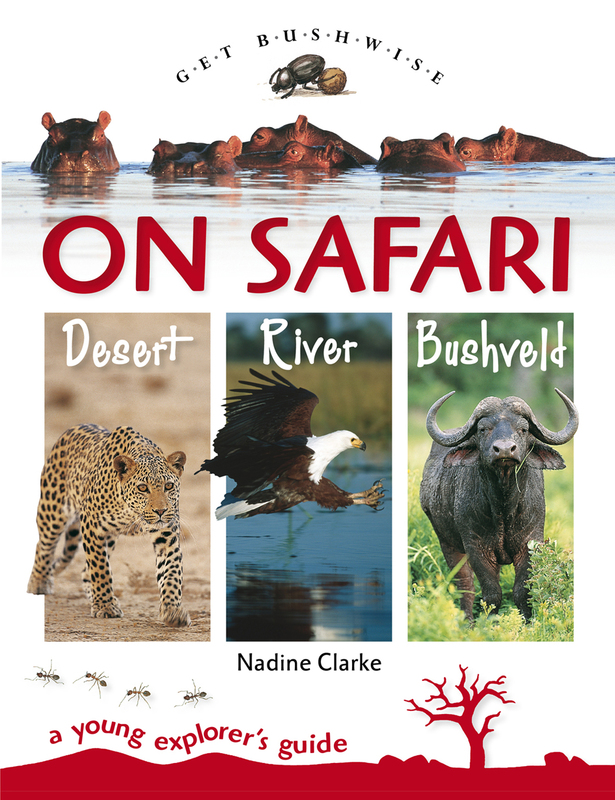 A local guide leads adventurers on safaris into three surprisingly varied worlds: the bushveld, a river and a desert. Each environment brings its unique flavour to the adventure; multiple images (both photos and illustrations) and interesting text introduce the region's fascinating wildlife with its intriguing habits and lifestyles. Readers are encouraged to play along by means of engaging activities, games and quizzes, with answers at the end of each section. Nature's edible treats and useful props are introduced, along with survival techniques for the young explorer. This volume illuminates three important southern African natural arenas, and will engage readers from cover to cover.